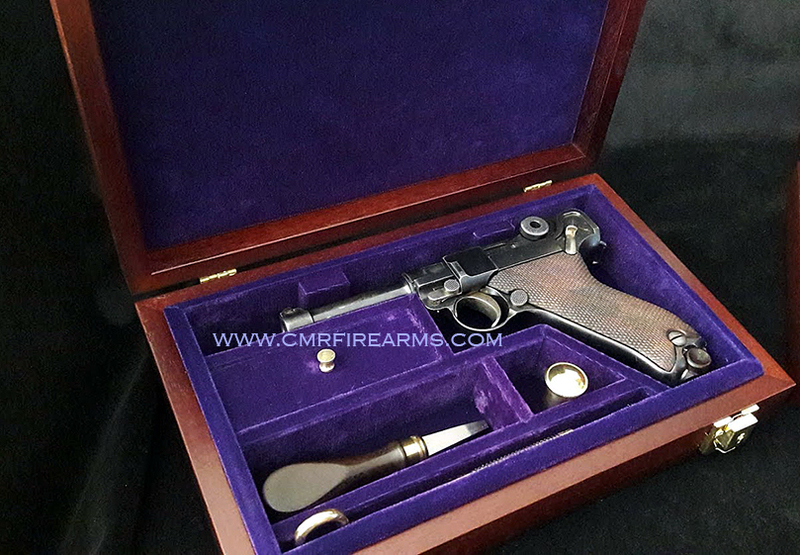 CMR Classic Firearms : Luger Pistol, Mauser C96 Broomhandle Pistols and Accessories. 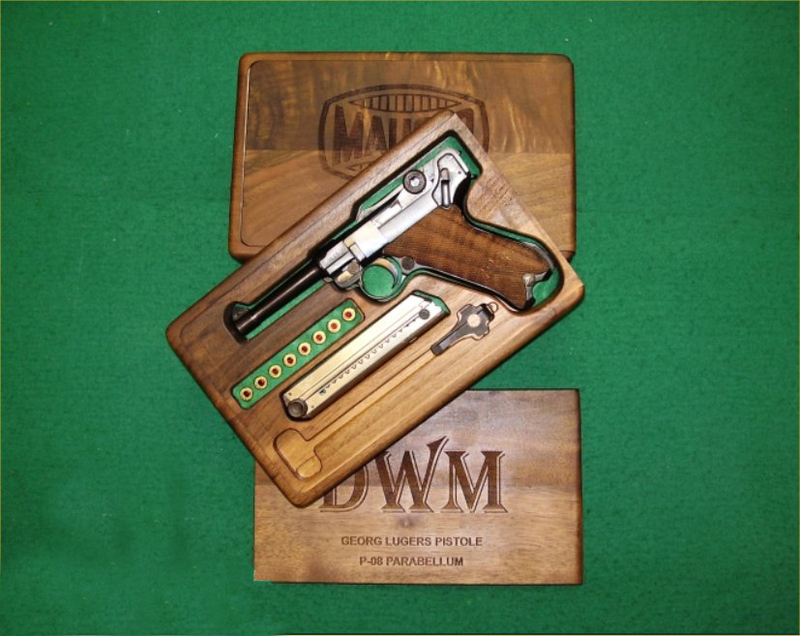 9mm Luger Pistols and C96 Pistol Firearms Accessories,Pistol Presentation cases and gun boxes. Welcome Guest! Would you like to log yourself in? Or would you prefer to create an account? 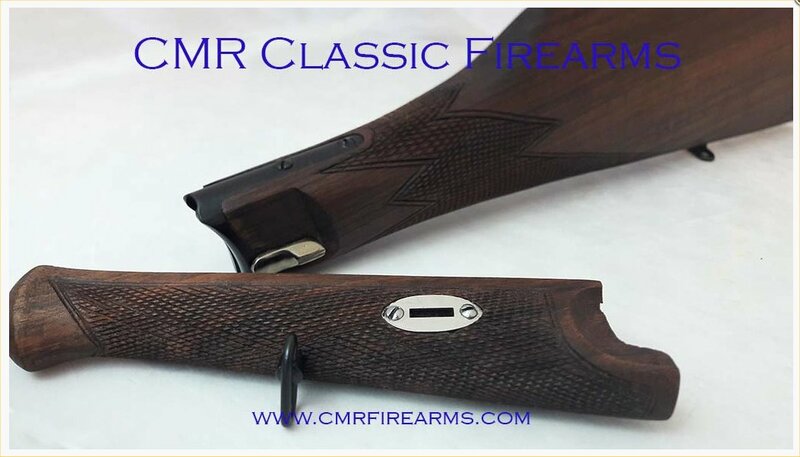 CMR Classic Firearms Specialise in collectors grade Investment Lugers, P08, Artillery Luger, Navy Luger and C96 Mauser Broomhandle Pistols. 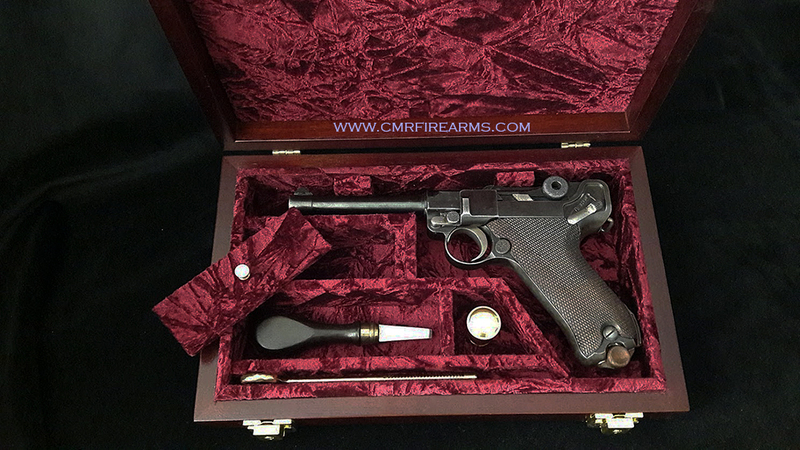 We stock a wide range of original and reproduction Luger and Mauser Broomhandle Pistol Shooting Accessories and Gun Parts for the Luger and Mauser Broomhandle Pistol. Pistol Parts and Accessories, Luger Holsters, C96 Shoulder Stocks for the Mauser Broomhandle Pistol, Mauser Broomhandle Holsters, Luger Artillery shoulder Stock boards, Navy Luger Stock boards, Snail drum carriers, Snail drums, snail drum loading tool and Luger Magazines, Luger Pistol Presentation Cases, Luger Pistol Luggage cases. 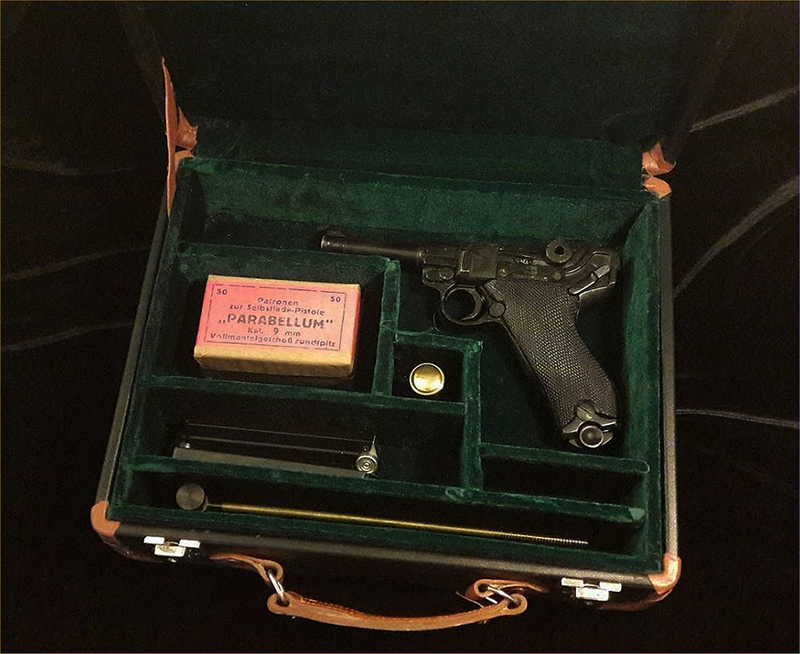 We also sell Walther P38 holsters, Colt 1911 holsters and Browning High Power holsters, German Pickelhaube helmets, M35 German Helmets, M40 German Helmet, world war 2 German daggers from the luftwaffe and the kreigsmarine, Luger Lanyard, Ammunition displays cases, Cartridge display cases, Artilllery Luger presentation case. It has always been my pleasure to deal with my customers on a personal basis and I can be reached by telephone or E-mail on almost any weekday from 9.30-17hrs GMT, please feel free to call if I can answer any questions or provide assistance with your selection. Thank you for your interest.